Each month, Nickel Plate Arts presents a showcase of artwork by a local artist or art group inside our Stephenson House Gallery. The exhibit is open to the public during regular business hours, Wednesday - Friday from noon - 5pm and Saturday from 10am - 5pm. For the month of February, we are excited to display a collection of artwork from new artist member Michael J. McGuire. Michael discovered his artistic talents after a life-altering event in 2015. Having never painted before, Michael enjoys exploring a variety of styles working in acrylic paints. While his passion is abstract art, his body of work includes contemporary, still life, faith-based, and nature-themed works, to name a few. 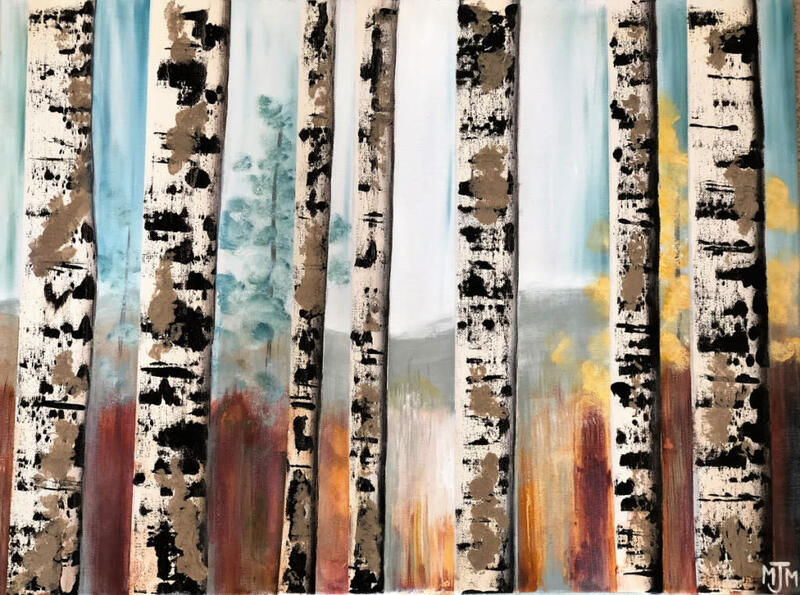 Art aficionados will enjoy perusing Michaels art while sampling refreshments, drinks, live music, and more during Februarys First Friday celebration on February 1 from 6-9pm. A special showcase reception will take place on Sunday, February 10 from 1 - 4pm. Additionally, this exhibit will also be viewable during Nickel Plate Arts annual Valentines Day for All programming, happening February 9  16. Grab your special someone, head to our campus, and share an experience of art!